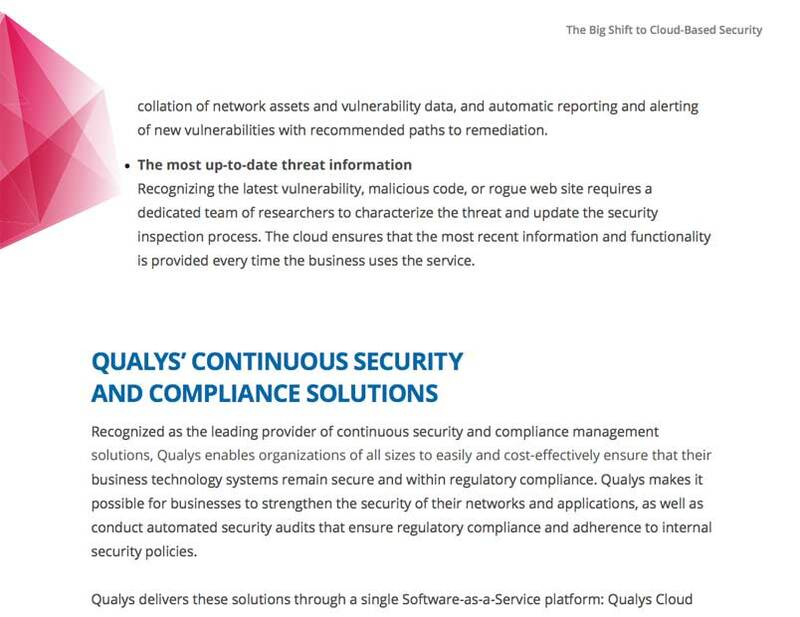 Free Whitepaper: The Big Shift to Cloud-based Security | Qualys, Inc. Drivers for cloud solutions include the need to innovate, simplify and cut costs. 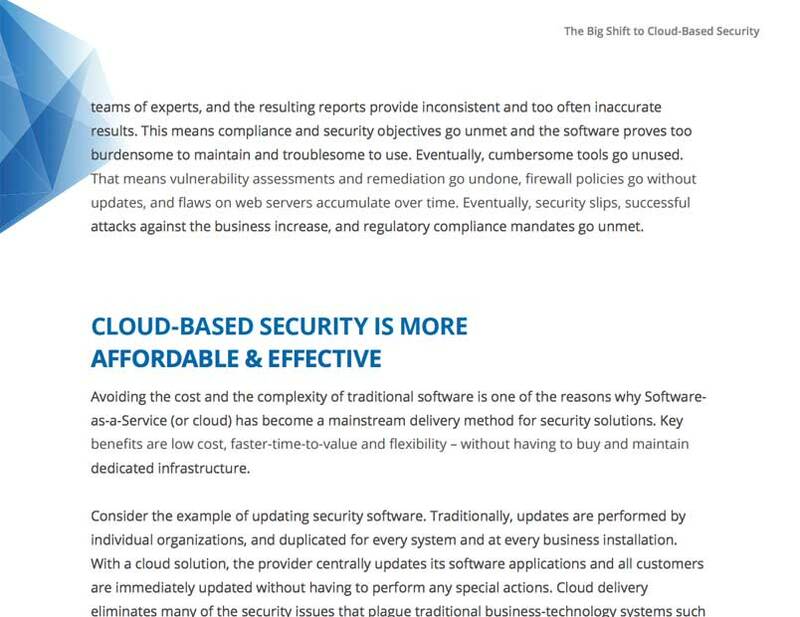 Users say a key benefit cloud-based security is no need to deploy equipment or software. 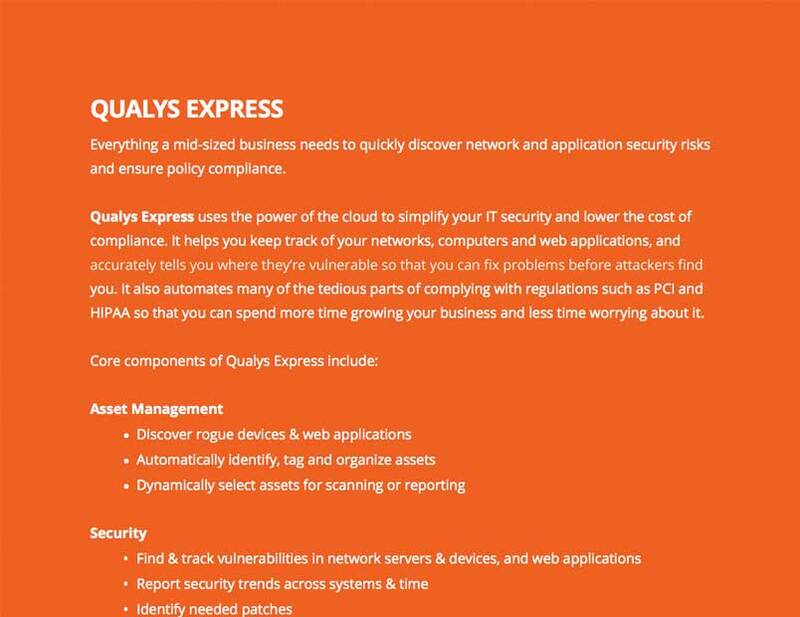 The cloud provider furnishes and hosts everything in secure data centers. This arrangement lets your business avoid capital expenses and to control ongoing costs. 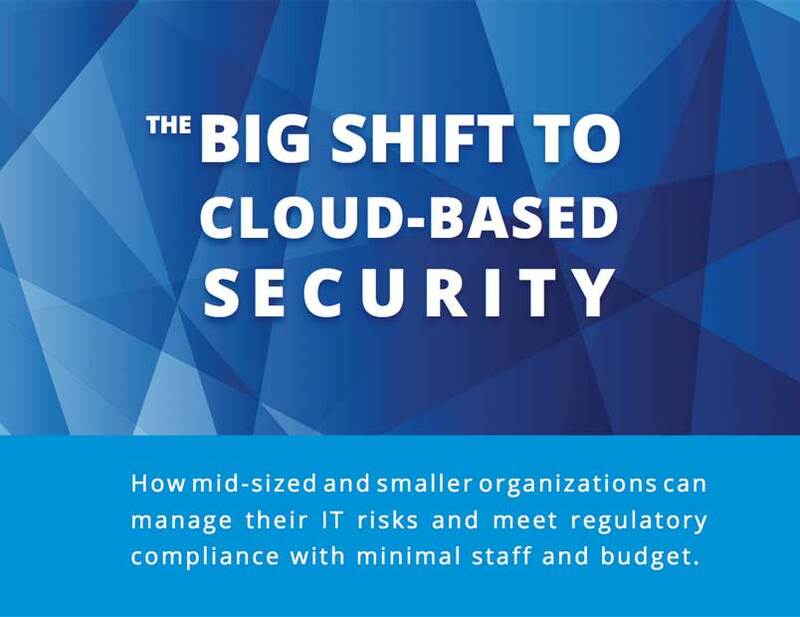 This paper describes how your small or medium-sized company can manage IT risks and maintain regulatory compliance with minimal staff and budget.